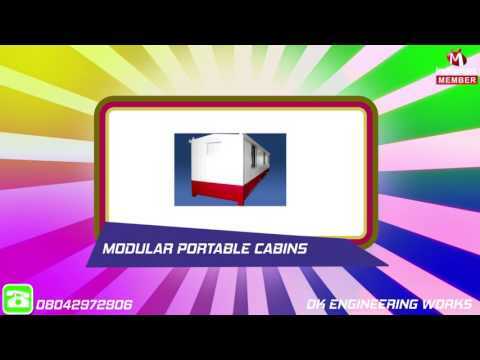 Established in the year 2004, D. K. Engineering Works is a leading firm engaged in Manufacturing and Supplying Portable Cabins, Portable Office Cabins, Bunkhouse Cabins, Watchman Portable Cabins, Toll Booths Cabin, Steel Cabin, Portable Toilet Cabins, Portable Chicken Cabin and Cargo Containers. We understand our clients%u2019 requirements and provide them the best cabins in several designs. Our products are highly advanced in quality and are available in wide varieties. They are very strong, portable and easy to use. We maintain wide business network and ensure best products at a very reasonable price range.